It’s almost unreal how good animated movies have been the past ten years. It wouldn’t be an exaggeration to say that some individual years have had a better slate of animated movies than entire previous decades have. It’s almost an embarrassment of riches. So where have these films come from? A variety of places. 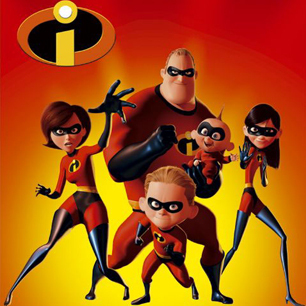 Some of it has been international and independent animated films. Miyazaki released his last two films, and the annual Annie Awards always include a handful of “cartoons for grown ups” like The Illusionist and $9.99. 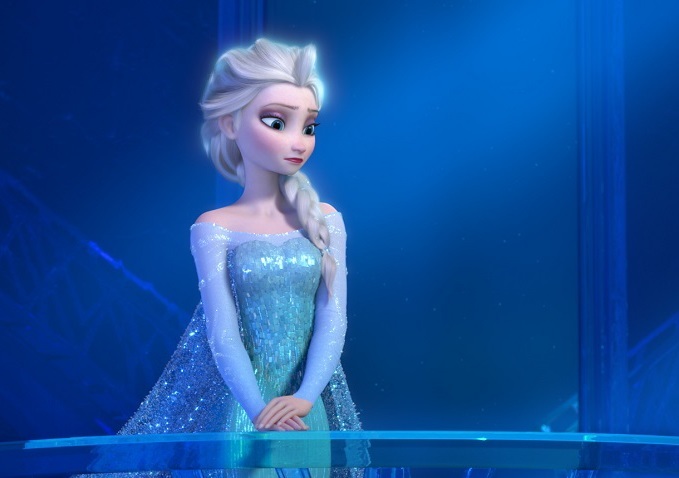 Several directors and studios have taken the animation plunge in both big and small ways. Wes Anderson made an award-winning stop-motion adaptation of Roald Dahl’s The Fantastic Mr. Fox. Illumination Entertainment has made $1.8 billion on a studio budget of less than $300 million. A handful of other franchises and studios have made some buzz (e.g. Fox’s Ice Age). Let’s not forget Disney’s Re-Renaissance, though. Ever since John Lasseter took over, Disney Animation Studios has been on fire, both in receipts and critical acclaim. Fun fact: From 2008-13, Disney had a higher Rotten Tomatoes average than Pixar. The most prolific major animation studio has been DreamWorks, though. There’s a long and interesting backstory to DreamWorks Animation, but they really established their identity in the mid-2000s with cheeky, comedy-driven, franchise films, always targeted towards kids. The intakes have ranged from huge to gargantuan. Though no DreamWorks movies have topped the billion raked in by Toy Story 3 and Frozen, all 20 since 2004 have made more than $190 million, most topping $400 million. 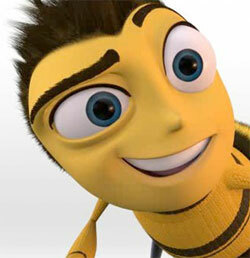 (As a counterpoint, there’s also the Pixar eyebrows). That makes it all the more surprising that one of the best, most heartfelt animated movies of the past decade — and, therefore, ever — came from DreamWorks Animation’s recent “predictable” phase. How To Train Your Dragon is something of an unexpected masterpiece. Based off of a children’s fantasy series of the same title, Dragon is sweeping, thrilling, and winsome. It’s a movie I’ve come to love more and more since its debut in 2010, one of my favorite animated movies, and one of my favorite movies, period. The success of Dragon is all the more impressive because of its disjointed production. Producer Bonnie Arnold’s early treatments of the story were whimsical, loyal adaptations of the book with a light tone and comedy focus. In other words, they fit the DreamWorks mold. Then, Dean DeBlois and Chris Sanders, creators of Lilo & Stitch, were brought on as directors, and everything changed. They gutted the script, reconceived the entire plot, and recruited legendary cinematographer Roger Deakins to give the movie a more gripping, tactile feel. I hope the person who decided to take a chance on DeBlois and Sanders got a promotion. The new creative team envisioned it is a high-stakes adventure. Dragons and Vikings are at war in their world, rather than friendly cohabitants. Central dragon Toothless was changed from a small, common, turkey-like dragon to a legendary, dangerous Night Fury large enough to be ridden. The new story shifted away from the teenagers in training and towards the larger struggle between Vikings and dragons. The change in direction was unanimously a good one. It’s hard to hear about the initial ideas for the story and figure how they could have resulted in anything near as compelling as the result. Below is a plot summary that I wrote for the movie that ended up quite long, so I’ve hidden it. You can expand it by clicking below. How to Train Your Dragon opens with Berk, a Viking village led by Stoick the Vast, undergoing an attack from dragons, who have constantly threatened the village’s survival. Hiccup, Stoick’s underwhelming son who wreaks havoc upon everything he touches, takes down a feared Night Fury with a net cannon he designed himself. Hiccup ventures to the woods to find the downed dragon, only to find it still alive. Rather than kill the dragon, he has a moment of mercy and decides to free it. But the dragon is injured and can’t escape the valley it’s fallen into. 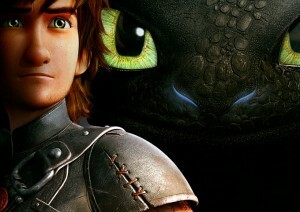 Hiccup observes and gradually decides to help the dragon, which he names Toothless. Though Toothless can’t speak, the two gradually bond. In Berk, though, tension is high. Stoick doesn’t think the town will survive another attack, so he recruits villagers to try and find the dragon nest. Meanwhile, blacksmith Gobber, Hiccup’s mentor, is to train the local teens to become dragon killers. 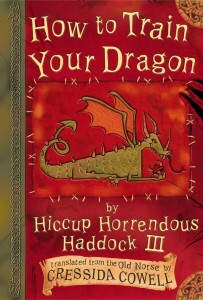 But Hiccup quickly improves as he uses his observations of Toothless to take down dragons without harming them. He usurps even Astrid’s position as the best trainee, and secretly learns to ride Toothless. A suspicious Astrid follows Hiccup and learns of Toothless. As she runs to tell the village of his apparent betrayal, Toothless and Hiccup take Astrid on a flight, where she comes around that there may be more to dragons than their ferocity. Toothless inadvertently reveals to Astrid and Hiccup why dragons are such aggressive predators: They’re commanded like worker bees by a massive queen dragon, which requires the dragons to bring it food. Hiccup swears Astrid to secrecy about Toothless and the dragon hive, even though the info might save Berk. Stoick and the villagers return in low spirits from their failed trip to find the dragon nest, but they quickly learn of Hiccup’s success in training. A shocked and proud Stoick tries to connect with his son, who is tasked with killing a Nightmare dragon as the champion of warrior training. But when it’s finally time to slay the beast, he tries to make a stand and reveal the gentler side of dragons to Berk. Unsurprisingly, it fails. An enraged Stoick scares the Nightmare into a dangerous frenzy. Toothless swoops in to save Hiccup, but is then captured by Stoick and the residents of Berk. 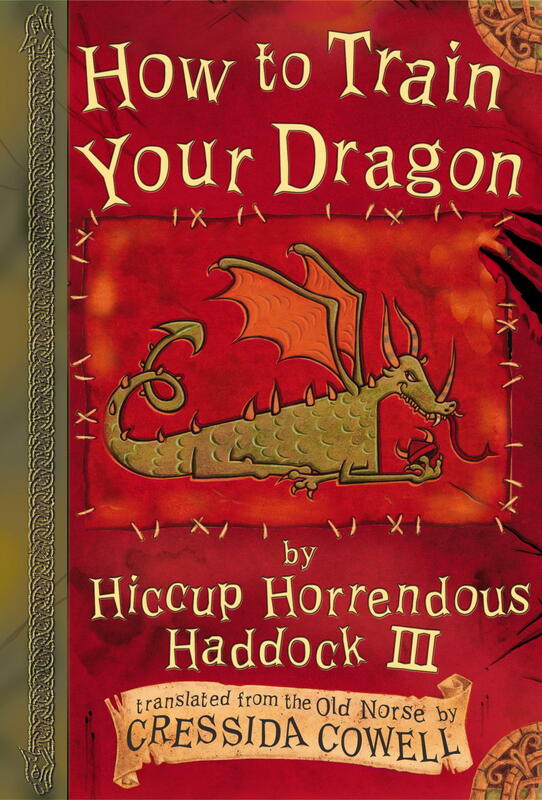 Stoick vents his fury that Hiccup’s skill at taming dragons was “a trick,” while Hiccup inadvertently reveals that Toothless can find the dragon hive. Stoick and Berk villagers sail off with Toothless to take care of the dragon problem once and for all. Astrid motivates a demoralized Hiccup to intervene and try to save the doomed voyage. He teaches his training partners how to ride dragons, and they all go off to try and save the village members from death at the jaws of the giant dragon queen. As Stoick and Berk arrive and siege the dragon nest, they quickly realize what they’re up against, and they prepare to flee. The teens swoop in on dragons just in time, and Stoick — realizing his son is brave and strong in different ways than he might have realized — frees Toothless. Stoick tells his son he’s proud of him. Toothless and Hiccup, reunited, take on the queen dragon. After an intense air battle, Hiccup remembers that dragons are “not so fireproof on the inside,” and Toothless launches a fireball into the jaw of the queen dragon, which falls and explodes like a nuke. Hiccup appears at first to have died, but Toothless reveals he cradled Hiccup from the deadly flames and fall. Hiccup has lost his foot, though, a reflection of the tail wing that Toothless lost at the beginning of the movie. Inspired by Hiccup, Berk learns to cooperate with dragons to help each other survive. The end. Even though some of the major plot points are a bit predictable, it’s still a great story with more maturity and conflict than your average DreamWorks film. It’s definitely worth seeing if you haven’t. The film’s success starts with the script. If I made a list of the best scripts ever for animated features, I wouldn’t put Dragon’s on top of the list… but I would think about it. This is a screenplay that’s been pored over, polished, and thought through. The core conflict and characters are interesting and surprisingly thoughtful. Hiccup is likable and funny, but protagonists are easy enough. More impressive is the writing for Stoick, Hiccup’s father and chief of the tribe. It would have been easy for him to become broad and and villainous. Instead he’s perhaps the most complex and believable character, burdened with protecting the tribe and his misfit son. The most striking stylistic touch of the script is its use of repeated structures throughout the movie. Turns of phrase appear at different points with different meanings. The best example is “that’s for everything else,” which foil/romance Astrid says to protagonist Hiccup throughout the movie. The biggest trouble spots of the script are the scenes with the other teens. This seems like a carryover from the earlier vision of the film. The wacky asides and broad jokes feel out of place, shoehorned in for the sake of this still being a DreamWorks movie. Still, Dragon’s script is superb overall, dramatic and funny. It’s classic adventure with well-rounded characters. Just as essential as the script is the direction. The extended wordless sequences where Toothless and Hiccup get to know each other are the highlights of the film, moving and tender. Simple actions like Hiccup petting Toothless and Toothless eating fish are given life and energy, and you feel the pair becoming best friends. The flying sequences are also visual highlights. Slashfilm’s editor Peter Sciretta famously said that Dragon “out- Avatars Avatar” with its stunning views and vistas. There’s an incredible sense of movement and danger as Hiccup rides Toothless around the island and over the ocean. These sequences are hardly the only beautiful sequences, though. The film’s opening is magnificent, maybe the best one since The Lion King. From the first line — “This is Berk.” — the opening seven minutes do a remarkable job setting the film’s tone, introducing its characters, and simply sucking you into its world. A lot of that belongs to the kinetic framing and action. The sound of Dragon is just as impressive as the visuals. For starters, the voice work is very strong. Jay Baruchel delivers a pitch-perfect performance as Hiccup. Alternating between pathetic and dry, Baruchel finds just the right amount of quavering in his distinctive delivery. Gerard Butler as Stoick is another highlight. Butler is, of course, the right amounts of gruff for a Viking leader. But he also provides a surprisingly vulnerable and warm core for Hiccup’s father. His performance matches the well-written character. But if you’re going to talk about the sound of Dragon, the biggest story is the incredible soundtrack by John Powell. It’s one of my favorite scores ever. 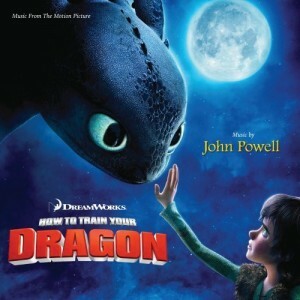 Melodic and sweeping, the soundtrack of How to Train Your Dragon makes the movie worth watching by itself. 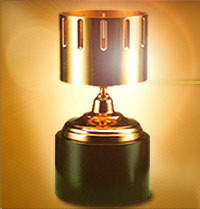 It contributes to to the magical, adventurous feeling of the film. It all adds up to a movie that’s completely magical and absorbing. You want to jump into this world and ride a dragon. It really sweeps you away. Perhaps the biggest compliment that I can pay How to Train Your Dragon is that it’s probably only the second animated movie I’ve ever seen where I left the theater desperate for a sequel (the other being The Incredibles). Dragon leaves you wanting more of its characters and world. 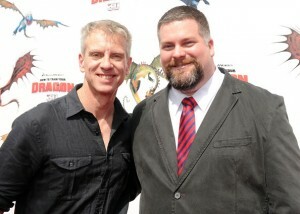 Fortunately, DreamWorks has signed one of the two directors, DuBlois, for two sequels to turn the story into a trilogy. They haven’t closed the door on extending the series past that (money always talks), but DuBlois has repeatedly said in interviews that he views the story as a trilogy, and has plotted the second and third movies as such. The trailer for HTTYD2, which hits theaters in June, looks fantastic. Early screening reviews have been pretty enthusiastic. DuBlois has said several times that HTTYD2‘s plot is heavily inspired by The Empire Strikes Back, and that it’s darker than the original. I am legitimately psyched. It bothers me to no end that Astrid doesn’t say “and that’s for everything else” in the last scene. She just leaves it implied. Why? It would be a perfect capper. Every time I watch the movie, I always forget that it’s left out, and I get angry every time. I absolutely love that Hiccup loses his foot in the end. It’s a nice bit of unexpected darkness, and a good symbolic parallel to the beginning of the movie. I feel like there’s a college paper waiting to be written on HTTYD‘s literary precedents of limb loss as a symbol for sacrifice. The movie repeatedly brings up the danger of dragon attacks, but does not show or reference anyone actually dying from dragon attacks. I wish they had gone a little bit darker. For example, if they had explicitly stated what is vaguely hinted, that Astrid’s parents died to dragons, it would have added an extra layer to her character. Seeing more of the toll the attacks have played on Berk would have only enriched the conflict between Stoick and Hiccup. While most of the film is meticulous and well-paced, the transition to the climax happens quickly and requires a little bit of hand-waving. How did the teens figure out how to ride dragons so quickly, and why did the dragons let them? 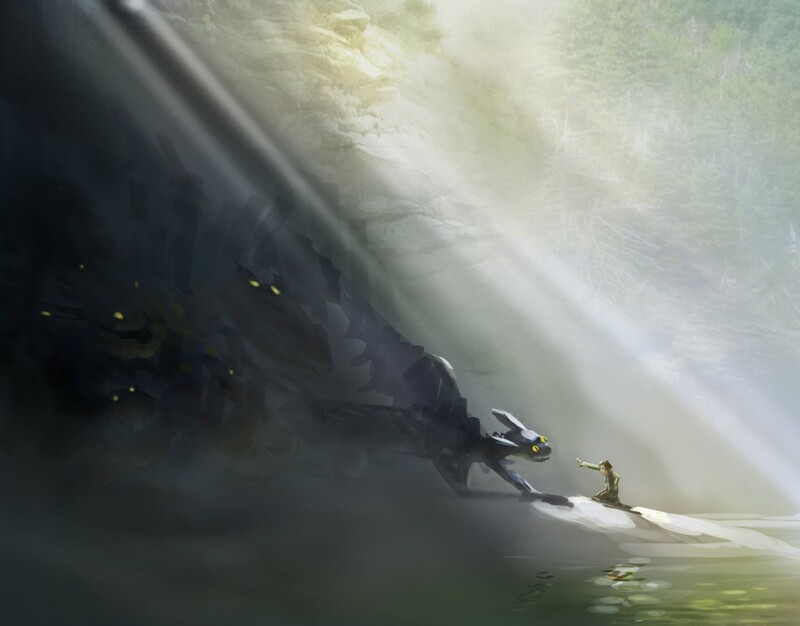 It seemed to take Hiccup weeks to win Toothless’s trust. Hiccup’s Viking hat is a great bit of symbolism. When he puts it aside in the training ring, it’s not hard to see why Stoick would be so angry. There are so many great shots in this movie that it’s hard to pick a favorite, but Toothless putting his head to Hiccup’s outstretched hand might be my favorite. I bought that Astrid trusted Hiccup after their flight on Toothless. But she seemed to fall fully for him at that point after being so skeptical and cynical for most of the movie. It seemed far-fetched and rushed. Similarly, the movie does not address with any depth the nature of the dragon-queen relationship. How did the dragon queen control the dragons? What happens to the dragons now that they’re “free” from her? This is one of the first times on the list that, as I’ve rewatched/revisited the material, I’ve felt like the rank is a little bit too low. I almost moved it up ten spots. If HTTYD2 is any good, look for this series to skyrocket up the list in future revisions.